I do a lot of nutrition and health research as it’s something I’m passionate about, and I recently stumbled upon some really cool studies regarding Mozart and health. It inspired me to dig deeper and see what science has been saying about Mozart for the last few decades. I thought you guys might be interested in the result of these studies – I sure was. There are all kinds of studies regarding music and health, so if you enjoy this topic, let me know and I can do more videos like this in the future. A really fascinating study was done on people with an allergy to latex. Basically, people with latex allergies were exposed to latex on their skin, where they would proceed to get an allergic rash. When these people were listening to Mozart and then exposed to latex, their skin produced less of an allergic reaction. Perhaps more interestingly, Beethoven (and Schubert, Haydn or Brahms), didn’t have any effect at all. There’s something specific to Mozart’s music that is potentially helpful in allergic diseases. Is that not incredibly interesting? After learning about that, I decided to do more research into “The Mozart Effect”. I came across another interesting study on pre-term babies. Basically, Mozart was played to babies who were born prematurely, which basically helped them gain more weight and grow faster – which is obviously important for very small babies. Researchers wanted to see if the same effect could be observed with another popular musician, Bach – but Bach didn’t seem to help at all. After finding these studies, it seemed evident that there’s something specific to Mozart’s music that’s beneficial, so I kept digging. Another study on children with epilepsy showed similar results. So if you’re allergic to latex, are a pre-term baby, or are a child with epilepsy, there’s something special about Mozart that might be helpful to you. But what about the rest of us? We often hear tidbits like how Classical music is good for the brain, but at the very least, Mozart won’t make you score higher on a math exam. 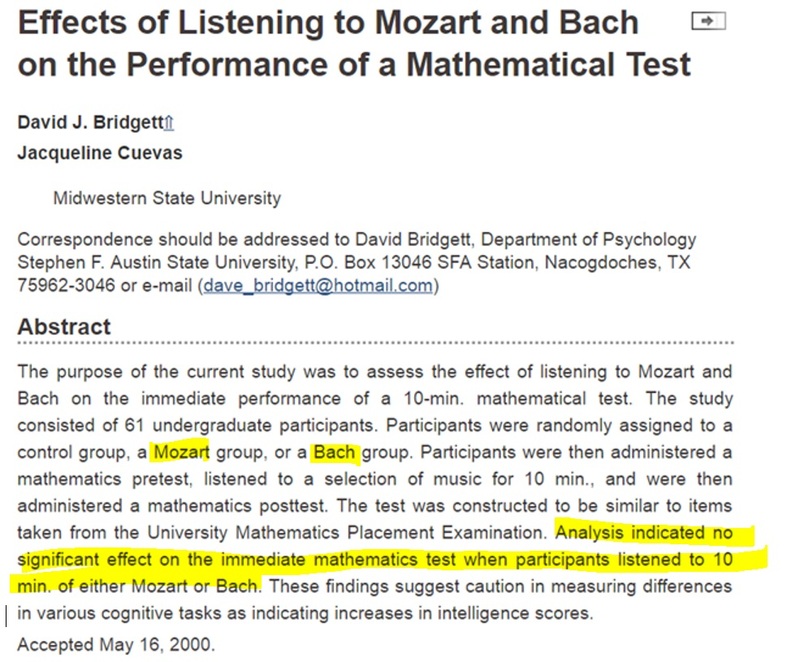 This study showed that listening to Bach or Mozart didn’t make any difference when undergrads wrote a standard math test. 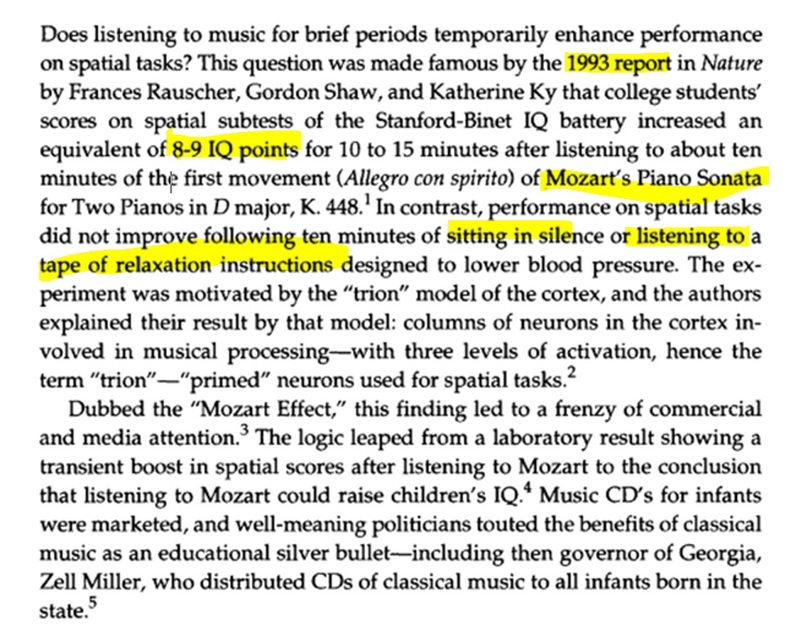 In the 90s, there was a very famous study that talked about “The Mozart Effect”, showing that people’s IQs were raised 8-9 points when listening to 10 minutes of Mozart. This was compared to complete silence, and listening to relaxing instructions. This results of this study have not been replicated, indicating that there’s a faulty aspect to it. It’s thought that perhaps comparing the very stimulating music of Mozart to complete silence is like comparing apples to oranges. As in the previous study, when Mozart and Bach are pitted against each other, no boost in math skills is achieved, so it could just be the stimulating aspect of music that is helpful, as opposed to Mozart specifically. 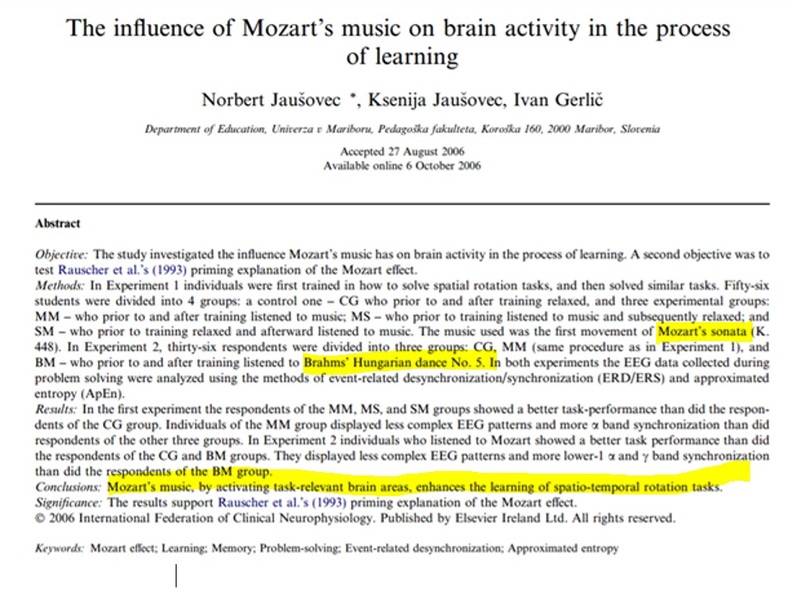 Other studies seem to confirm that when it comes to music and the brain, it’s not Mozart specifically that provides the boost. 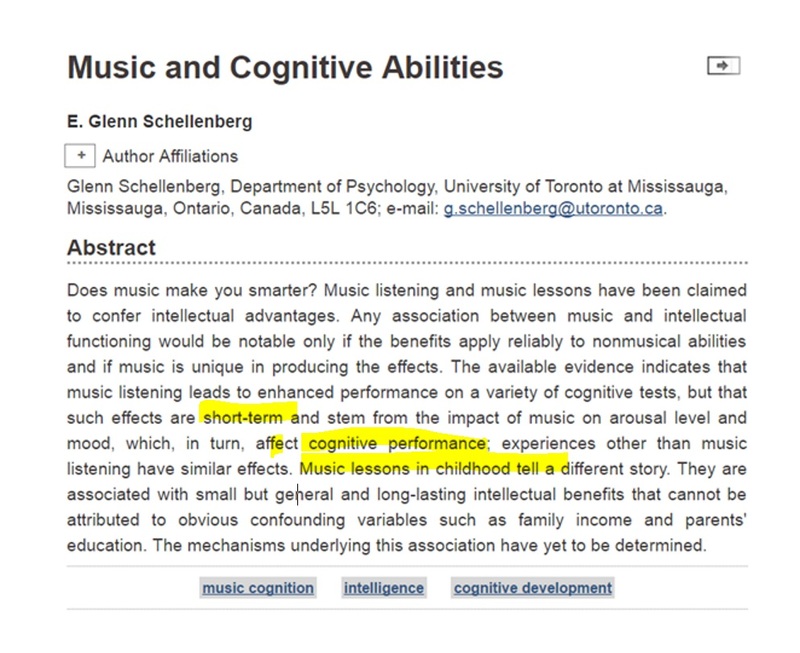 Interestingly, though listening to music only seems to offer benefit in the moment but not afterward, music lessons in childhood seem to boost overall intelligence throughout life. Most of us are already personally familiar with music’s ability to relax us and relieve us of anxiety and worry. 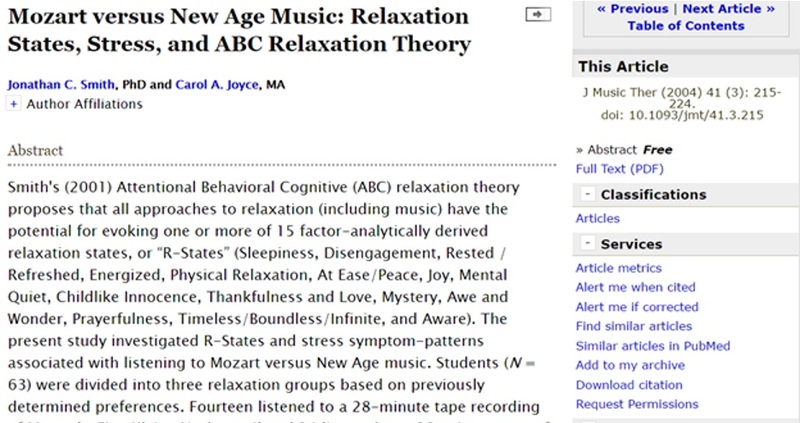 When pitted against new age music, and no music at all, Mozart had the greatest impact on improving our feelings of physical relaxation, ease/peace, and mental quiet. Listening to Mozart boosts dopamine levels in the brain, which in turn reduces depression levels. 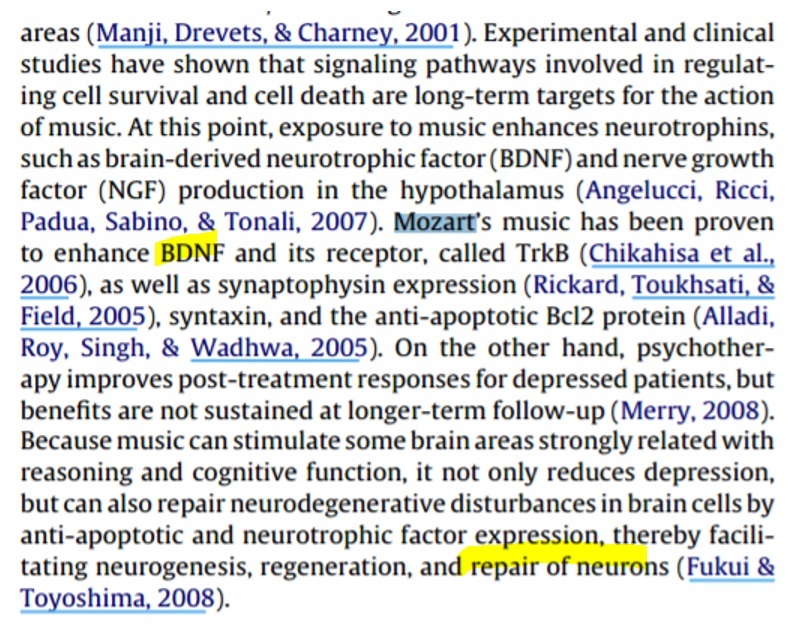 Listening to Mozart also boosts BDNF, which is a protein that is important for long-term memory. 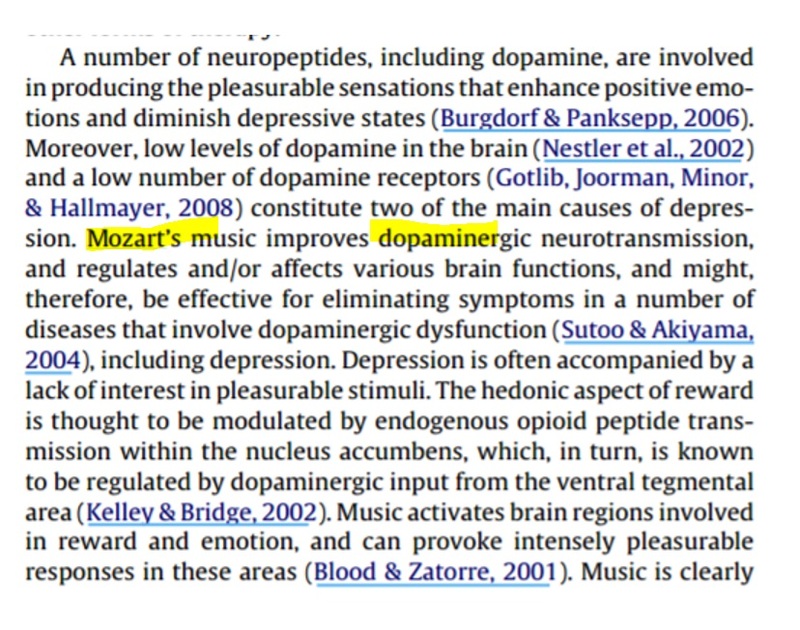 Aside from reducing depression, Mozart can also potentially help us repair brain cells and neurons, which is all very exciting news. To summarize, it seems like there are plenty of health benefits of Mozart, though there is still much more research needed in this field. 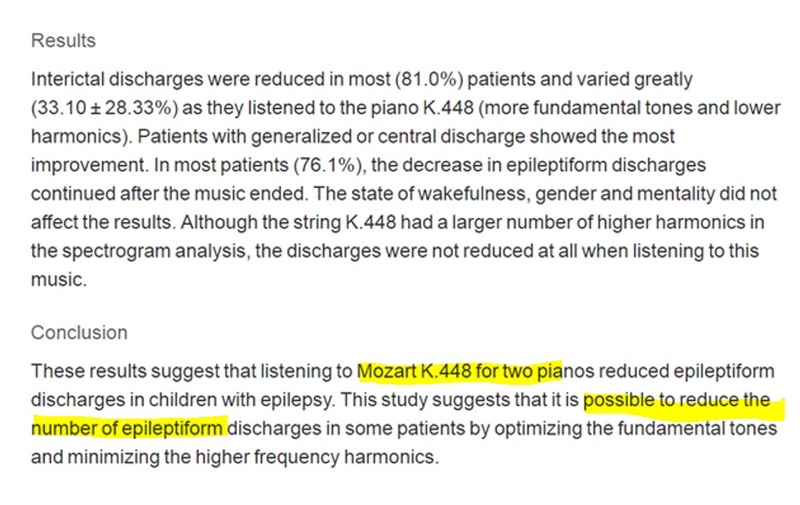 In 50 years we might have a better idea on why Mozart helps allergies but not Brahms, but for now, we can rest assured knowing that by learning Mozart in music lessons, and by listening to his music, we’re boosting our memory, special rotation and overall cognition – at least temporarily. There is probably much, much more going on in our brains and bodies when we play and listen to music, and it’s exciting to keep up with the science to see what’s discovered next.